Any solid surface immersed within a plasma, including those in satellite engines and fusion reactors, is surrounded by a layer of electrical charge that determines the interaction between the surface and the plasma. Understanding the nature of this contact, which can affect the performance of the devices, often hinges on understanding how electrical charge is distributed around the surface. 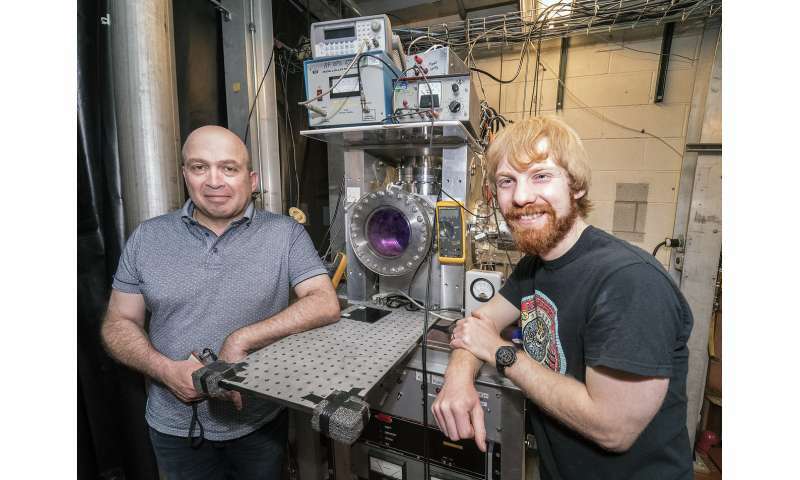 Now, recent research by scientists at the U.S. Department of Energy's (DOE) Princeton Plasma Physics Laboratory (PPPL) indicates a way to more accurately measure these electrical properties. 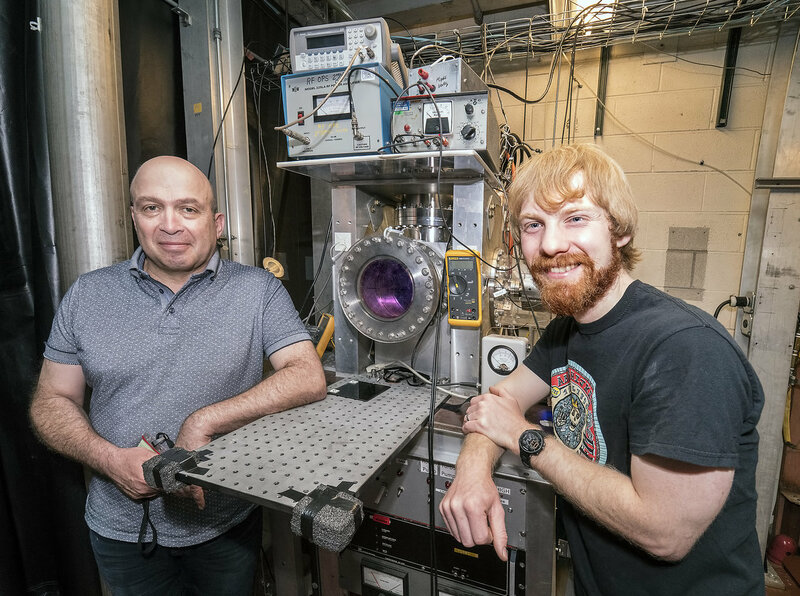 The recent discovery relates to the layer, the so-called plasma-wall sheath of electrical charge that surrounds objects, including diagnostic probes, inside the plasma, which is composed of charged electrons and ions. This layer protects probes by repelling other electrons in the plasma that affect the measurements of the instrument and sometimes even cause damage. "In effect, the object insulates itself from all these electrons in the plasma that carry energy and heat and could cause the probe to melt," said Brian Kraus, a graduate student in the Princeton Program in Plasma Physics who was lead author of the paper that published the findings in Physics of Plasmas. Kraus and principal research physicist Yevgeny Raitses, co-author of the paper and research advisor for Kraus on his first-year graduate project, found that the layer's charge can sometimes be positive, contradicting what scientists have long thought—that the blanket always has a more negative charge than the surrounding plasma. The findings indicate that researchers must determine exactly what kind of charge surrounds the probe to be able to make corrections that will generate an accurate measurement of conditions inside the plasma. "The big new thing is that until now, scientists for at least a decade had been developing theoretical calculations and performing computational simulations showing that the positive layer, or inverse sheath, could occur, but no one had seen it in experiments involving probes," Kraus said. "In this paper, we say we think we are indeed seeing it in an experiment, as well as seeing the transition between negative and positive sheaths." The research was the first to support these calculations concerning the effect of so-called highly emissive walls. Developing such calculations were Michael Campanell, Alexander Khrabrov, and Igor Kaganovich of PPPL, along with Dmytro Sydorenko at the University of Alberta. (Campanell is now at DOE's Lawrence Livermore National Laboratory.) The new experiments thus provide an excellent example of how theoretical predictions motivate experimental research that in turn validates theoretical predictions.